This is the second post in a series on the personal impact of gun violence. You can read Part 1 here. In the fall of 1992 our daughter returned from a Unitarian/Universalist youth conference bubbling over with stories of a boy she had met there. His name was Galen and they had spent Sunday morning making French toast for the other kids—hundreds of slices—while they talked and laughed. She told us how smart, funny and witty he was and how much she had had enjoyed cooking breakfast with him. I thought that this Galen must have been an amazing young man indeed to get our teenage daughter to cook anything, much less breakfast, with enthusiasm. Hmmm. I listened to her stories about him and wondered whether she would see him again, whether there might be a connection. 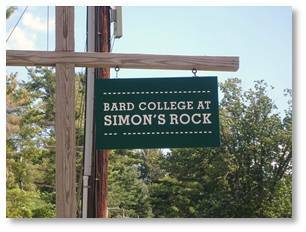 Galen was such a bright and mature boy that he attended Simon’s Rock College in western Massachusetts. It’s a small and innovative liberal arts college that accepts very smart and highly motivated high school students before they graduate. The school offers them a more challenging, college-level education and an opportunity to earn an early degree. He had gone there after his junior year in high school. A few weeks later our daughter received a phone call and seemed to be having trouble understanding — or believing — what the caller was saying, as if the news didn’t make any sense to her. She put down the phone with a confused and disturbed expression. When we asked what the problem was she said that the boy she had met at the convention had been shot at his school and that he was dead. Gun violence had struck again. Galen had been caught in a “campus shooting spree” seven years before Columbine, 15 years before Virginia Tech, and 20 years before Sandy Hook. A scholarship student named Wayne Lo, whose family had emigrated from Taiwan six years earlier, came to Simon’s Rock from Billings, Montana, in the spring of 1991. He sported a shaved head and held “conservative beliefs” that other students found racist, homophobic, and anti-Semitic. He seemed out of place at this liberal school and the other students steered clear of him. On the morning of December 13, a package arrived at the school for Wayne Lo containing ammunition he had ordered from Classic Arms, a North Carolina company. Unsure what to do with it, and worried about violating Mr. Lo’s privacy, Dean Bernard Rogers sent the package back to the mail room so he could ascertain what was inside. Before he could do that, however, Wayne Lo picked up the package without supervision, oversight, or obstacle. He was of age (by a few weeks) and had a Montana driver’s license, the only document required in his home state to purchase a gun. That same day he went to Dave’s Sporting Goods in Pittsfield, MA and bought an SKS Chinese-Type 56 Carbine, a semi-automatic weapon that fired intermediate-sized ammunition. He returned to the school where he took a test, went to the dining hall for dinner, loaded his rifle, and embarked on a shooting spree. Wayne Lo wounded four people—paralyzing one—and killed two. 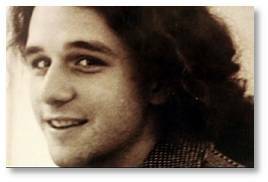 One of the dead was our daughter’s friend, Galen Gibson, only eighteen years old. She was devastated, as anyone would be, but the tragedy was especially terrible for one so young. Teenagers are famously immortal, believing that death visits only the very old, the sublimely careless, and soldiers in wartime. Now someone her age, someone she knew, had died and by an act of violence. Galen’s funeral was private but a memorial service was held afterward at his church in Gloucester, Massachusetts. I decided to drive her and a friend to the service because she was so upset and I knew the highway would be crowded with Christmas shoppers. I planned to sit quietly and unobtrusively in the back of the church and then drive home. This plan lasted about five minutes into the service. The church was packed with adults and weeping young people. As person after person got up to speak about Galen they drew a picture of him that magnified the loss. Galen Gibson had been one of those charismatic people that everyone wants to be with, to listen to, to befriend, to learn from. He sounded like an “old soul” wise beyond his years if equally set in his ways. Galen drew people to him and they loved him in return for his intelligence, his kindness and his wide-ranging interests. All the accounts painted the picture of an extraordinary young man. Unlike most mass shooters, Wayne Lo did not kill himself after wreaking such devastation. Instead he called 911 and surrendered to the police. Convicted in a trial, he received to two consecutive life sentences without possibility of parole, a sentence he is still serving here in Massachusetts. Wayne Lo is now 40 years old and has been in prison for 23 years. While denying mental illness, he claimed to have been “on a mission from God” to kill people at Simon’s Rock. In a later prison interview he said he was motivated by raw and boundless anger. Would it have helped if Galen Gibson had been armed? He was coming out of the school library, putting his coat on as he walked toward a car that he believed had been in an accident and gone off the road. Actually, it contained the body of Wayne Lo’s second victim, Spanish Professor Ñãcuñán Sáez. Galen did not know there had been a shooting or that he should be prepared to defend himself. He just went out to help the driver. Galen’s death struck the Gibson family hardest, of course. For them it must have felt like being hit by a meteorite: abrupt, unpredictable, hard and inescapable. 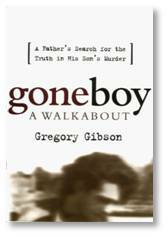 His father, Gregory Gibson later wrote a book about their experience called Goneboy: A Walkabout, which I recommend. Although the murder affected us only tangentially, gun violence had now touched me and my family twice in the space of one month. One month! It seemed impossible for such tragedies to happen anywhere and unthinkable here in civilized Massachusetts. It felt like being pounded twice by a hammer I hadn’t known existed. And yet it wasn’t the end. . . . not even close. It would soon get worse. Keep reading. This entry was posted in Friends and Family, Health & Safety and tagged @Everytown, @MomsDemand, Everytown for Gun Safety, Galen Gibson, Gregory Gibson, Moms Demand Action for Gun Sense in America, Simon's Rock College of Bard, State Representative Bob Durand, Wayne Lo by A Kaplan. Bookmark the permalink. I attended Simon’s Rock with Galen and I can tell you, he really was all that and a bag of chips. He had a knack for being around when I was in a dark, dark place. He would find me as if I’d been wearing a beacon and he would comfort me until I could see again. He was gentle and always had a natural smile on his lips. He could coax laughter from the most dour person. He was a brilliant, talented, kind person. I hate that I was unable to attend either his funeral or the memorial afterwards. Now I have children, 8 and 10, and I can’t believe that school shootings is a thing that we are forced to embrace, to deal with. Not a day goes by that I don’t think of that day, of the losses we face, of the safety of my kids when they go to a building and I’m not there. Rane: Thank you so much for this comment. I forwarded it to my daughter and my husband, who has become friends with Galen’s dad, Greg Gibson, in the anti-gun violence movement. I wanted Greg to see it, too. In response, my daughter forwarded me this article from the Berkshire Eagle: http://www.berkshireeagle.com/stories/wounds-still-raw-25-years-after-simons-rock-shooting-rampage,526983 It breaks my heart that 17 more families have just joined the ranks of survivors, those of us who will mourn for the rest of our lives. I share your views Aline. Thank you for sharing this very personal and extremely touching story. The landscape on this issue has not changed, in fact I think it’s gotten worse. How many of our kids and innocent people have to die. The right to bear arms… I think this is an amendment that needs to be addressed. Do you know if anything has changed regarding the gun laws in Massachusetts since that time? Wayne Lo would have had to be issued an ID card.